Title IX | 23 minutes - New to the Suite! 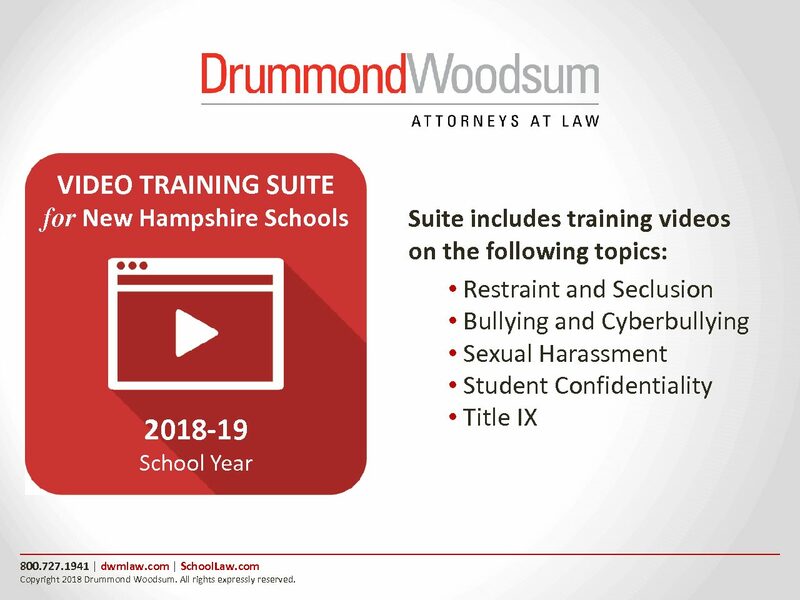 By providing all of your training requirements in one place, the Staff Training Video Suite satisfies these training mandates in a user-friendly and economical way for the 2017-2018 school year. View each of the five videos on an unlimited basis during the school year, after which time the videos will be updated and re-issued for another year by subscription at a discounted rate. The price for first time purchasers is $805. Order individual videos for $290 each. In addition to the link to stream the videos, purchasers will receive copies of the Powerpoint slides for each, and a customizable Certificate of Completion.